To keep my spirits up in this cold February I made a smoothie that screams summer — almost like Kool-Aid. Pineapple and coconut really make you feel like you’re on vacation in the tropics having a great time. Because let’s be real for a sec, February is the perfect time to get away from it all. A couple of years back I went to the Bahamas for a long weekend and had the best time ever. Anyways, the entire thing only has 245 calories, and this makes a huge smoothie. It’s thick, creamy, rich, and so delicious. This smoothie isn’t very sweet so if you like something sweeter I suggest you add one more tablespoon of maple syrup (or coconut sugar). This is the perfect smoothie to beat the winter blues. And if you can’t go to the tropics, at least it will give you the flavors of the tropics right at home! Pineapple Coconut Smoothie Print this recipe! 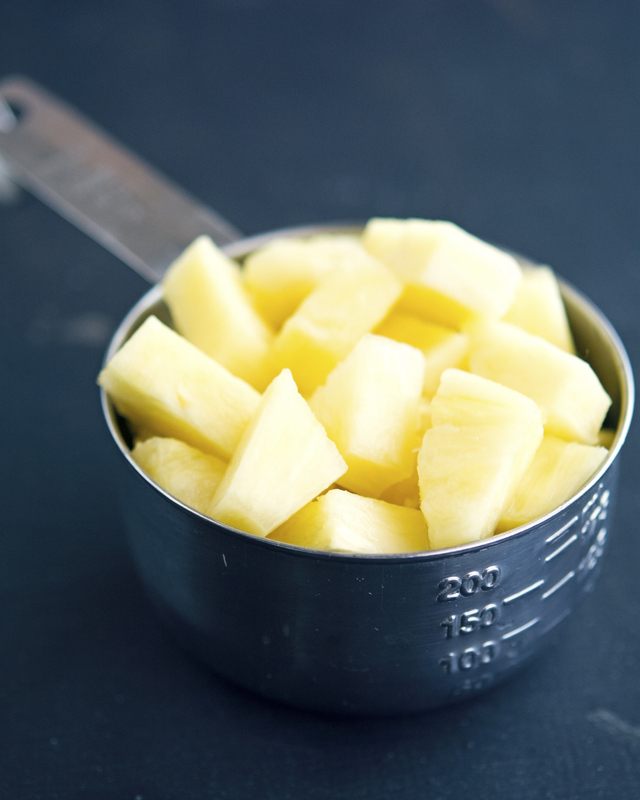 Place pineapple chunks, yogurt, coconut milk, 1 teaspoon of shredded coconut, and ice in a blender. 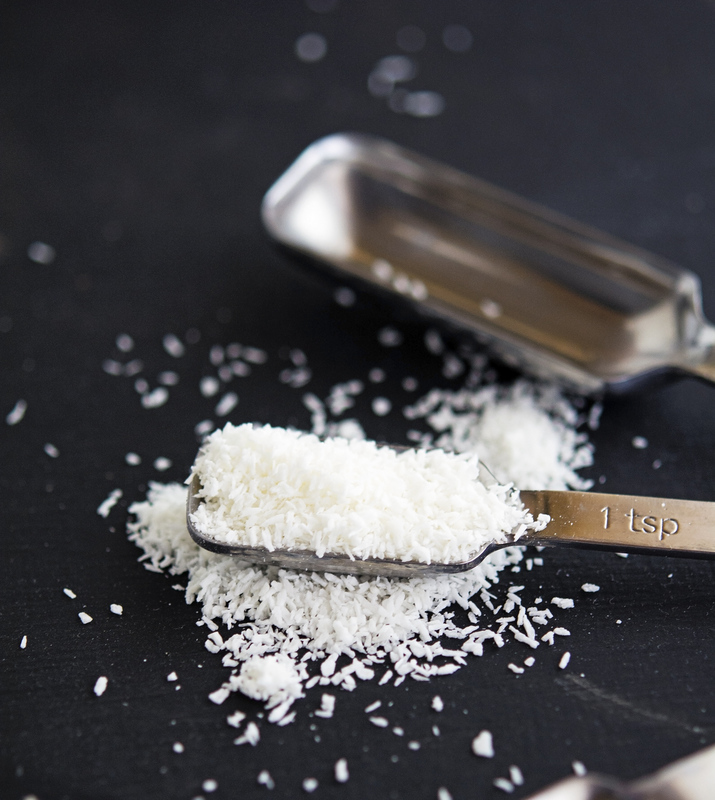 Pour into a glass and top with shredded coconut. One serving yields 245 calories, 9 grams of fat, 43 grams of carbs, and 3 grams of protein. Awesome, thank you for stopping by! I was just reaching for frozen peaches for this exact reason. February is the hardest month for me because I'm fed with dark cold days. Ooh going somewhere tropical during the winter is a real life goal of mine ;) til now smoothies! Going to the tropics during winter has to be one of the best things ever! 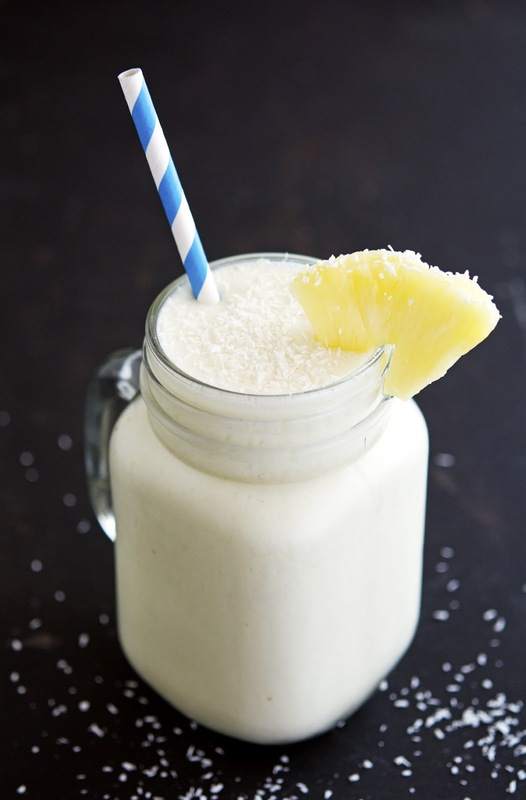 While I adore desserts and smoothies - I don't tend to like them sickly sweet so this would be perfect - and it has pineapple and coconut in it! I have 2 fresh ones in my automobile right now and a cut-up one in my fridge so this smoothie will so be happening! Thanks for the inspiration, my friend! 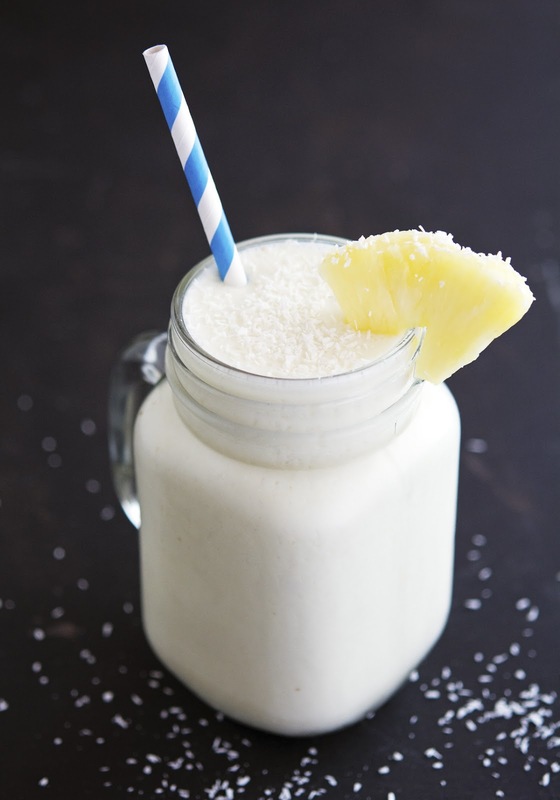 A little bit of Pina Colada magic should do the trick for winter blues anytime! I drink smoothies pretty much everyday and something summery sounds like just the thing right about now! This is delicious! I am wary of the texture of shredded coconut, but this is fantastic. I bet it would be good with peaches too. I hear ya about the texture of shredded coconut but in this smoothie it just works, right? I love pineapple and coconut together. And mango, too! This sounds like the perfect breakfast - or mid-afternoon snack for right now! MMMM, I'm making a pina colada-y recipe for Friday...but this is making me REALLY want summertime.